Another 500 miles is in the books for the Anchor House cyclists and almost half a million dollars is in the bank to support kids who need help. The cyclists participating in the Ride for Runaways pedaled 55 miles from Bethlehem, Pa. to Pennington on Saturday. They then took a break at a picnic at St. James Roman Catholic Church before biking the final 10 miles to the Quaker Bridge Mall for a welcome-home ceremony. The 146 cyclists and 33 support crew members began their journey in McHenry, Maryland a week ago. 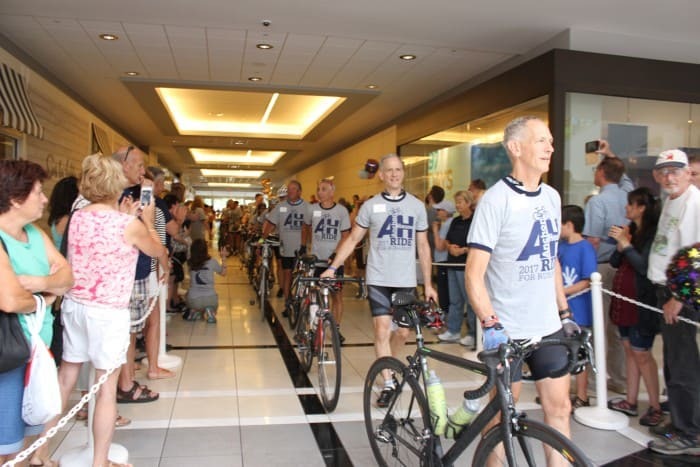 Over the course of the week, they climbed more than 24,000 feet as they pedaled towards home. Participants raised money, trained, and then sacrificed time with family, vacation days and other activities to participate in the charity ride. While the ride attracts many cycling enthusiasts, it’s not about the bike. The ride raises money to support Anchor House, the shelter for runaway, abused and neglected children and teens in Trenton. 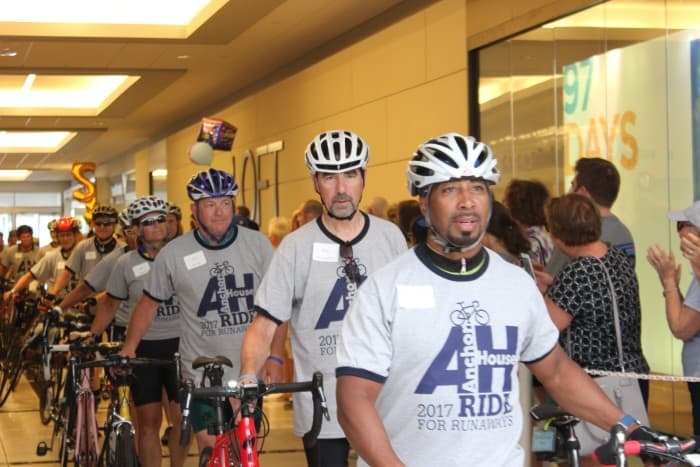 At the mall on Saturday, the cyclists found out the ride has raised $460,000 so far. The goal is to raise $500,000. Donations will continue to come in for the next several weeks. 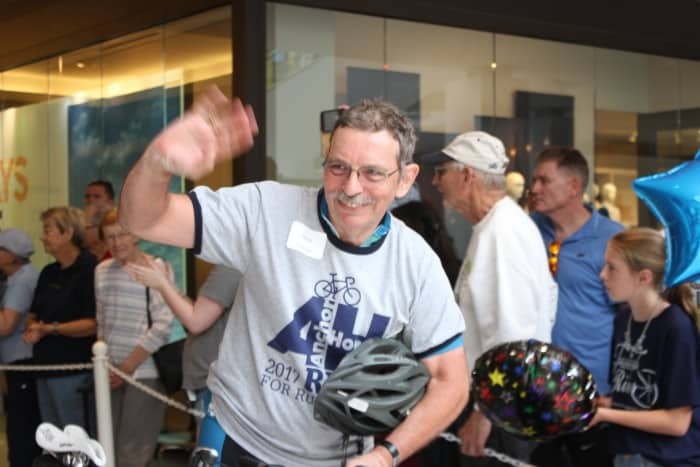 After this year’s participants take a brief break, preparations for next year will begin as Anchor House gears up for its 40th anniversary and the 40th Ride for Runaways. The cyclists and volunteers are part of a legacy that began as what seemed like a crazy idea back in 1978, when a 22-year-old named Joe Yuhas was looking for ways to raise money for the new shelter for runaways in Trenton. Yuhas and his niece were stuck in a traffic jam when two people passed them on bicycles. It was then that Yuhas cooked up the idea for a bike ride fundraiser. In the summer of 1979, he and three other men biked more than 1,100 miles over 14 days from Florida to Trenton. They weren’t well trained, they didn’t have proper bike gear, and they had no support crew or planned daily routes. But they had what counted most — a commitment to make a difference in the lives of young people in need. And that was enough to get them home and raise money to keep the doors of Anchor House open. Since that first year, the ride has become a sophisticated operation that attracts cyclists of all skill levels, as well a a host of volunteers. But the mission remains the same — to help runaway, abused and homeless children and teens. 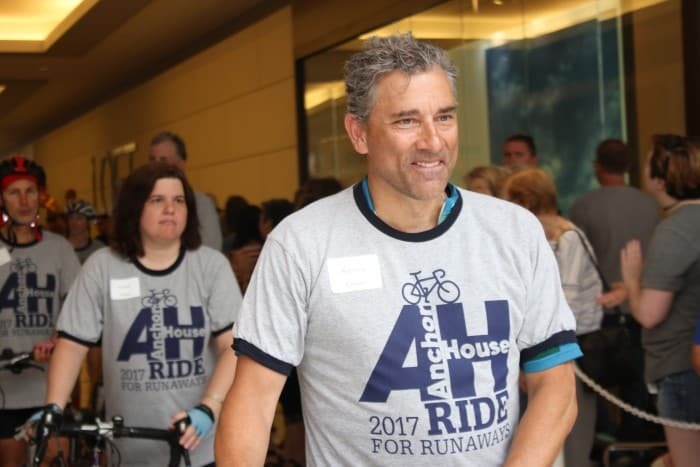 If you would like to take part in continuing the legacy Joe Yuhas started in 1979, visit the Anchor House Ride for Runaways website in January for a rider or volunteer application, or call email anchorhouseride@gmail.com. If you have never biked in a long-distance charity ride but are interested in doing so, veteran Anchor House riders can help you prepare and train. Krystal Knapp is a participant in the 39th annual Anchor House Ride for Runaways. For more information about Anchor House, to make a donation, or visit an individual cyclist’s donation page, visit the 2017 Ride for Runaways website. Photos of day seven and the ride to the mall by Jeanne Imbrigiotta.